Updated Monday, April 11, 1 p.m. EDT: Baton Rouge police have arrested Earnest Felton, 22, in connection with a shooting that left two Southern University students dead and injured a man Sunday morning. Felton has been charged with attempted second-degree murder and illegal use of a weapon. Felton's bond has been set at $90,000 according to KSLA. Two female Southern University students were shot and killed early Sunday outside a Baton Rouge, La., apartment complex. 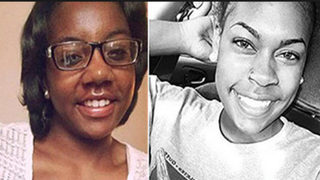 Lashuntae Benton, of Lake Charles, La., and Annette January, of Gary, Ind., both 19, were shot as they stood outside the apartment complex in the parking lot. A 24-year-old man was also shot but was expected to survive, WDSU reports. According to the Times-Picayune, Benton was pronounced dead at the scene, and January was transported to a local hospital, where she was pronounced dead. Both women participated in sports at the school; January, a freshman, was a member of the university's track team, and Benton, a sophomore, was a student athletic trainer, the Times-Picayune reports. January's mother, Dawn January, told the newspaper that the women were attending a party thrown by one of the members of the track team when the shooting occurred. "She was just caught in the middle," Dawn January told the Times-Picayune. Baton Rouge Police Sgt. Don Coppola Jr. told the newspaper that so far, there were no suspects or motives in the shooting. "It feels like a nightmare, like I'm just waiting to wake up," Dawn January said. Read more at WDSU and the Times-Picayune.